HRH Prince Albert', 19th century. 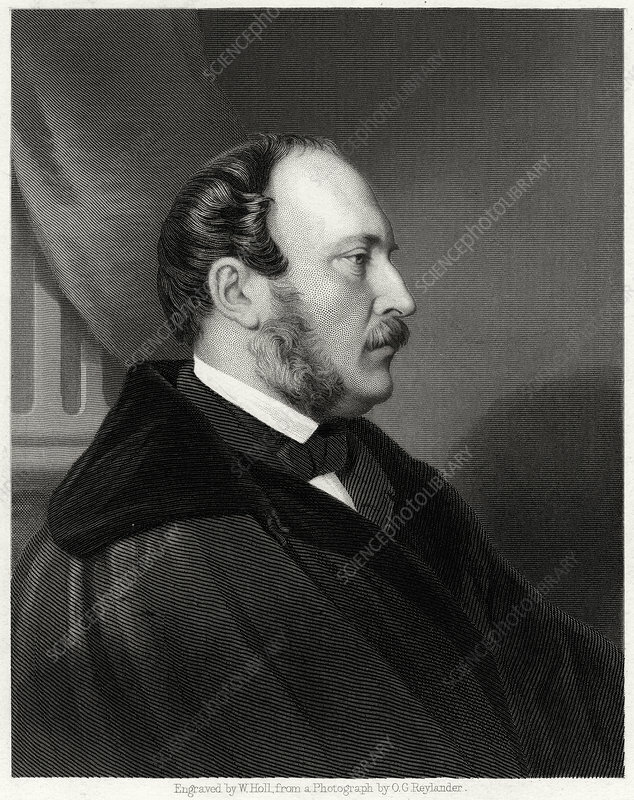 Prince Albert of Saxe-Coburg and Gotha (1819-1861) was the husband and consort of Queen Victoria of the United Kingdom of Great Britain and Ireland. He was the only husband of a British queen regnant to have formally held the title of Prince Consort. He was instrumental in the Great Exhibition of 1851, and died of typhoid 10 years later. Upon Queen Victoria's death in 1901, the House of Saxe-Coburg-Gotha succeeded the House of Hanover at the British throne. Artist: W Holl.